Time is ticking as the countdown to Ben Pratt’s school’s total demolition continues. Ben has been given a handful of clues that could help them save the school, but they are all written in maritime riddles. “After five bells sound, time to sit down.” What the heck does that mean? It’s hard to know where to begin when Ben and Jill don’t even know what they are looking for. All Lyman, the snake posing as the school janitor, needs to know, though, is that they are looking, and that could mean the end of the 30-million-dollar development deal that pays his salary. (Which, by the way, is MUCH larger than what a typical janitor makes.) As Lyman lurks in the shadows—and sometimes not in the shadows—Ben and Jill have to add another to-do to their list of things to accomplish in the next twenty-one days: (1) Figure out the clues left by past Keepers of the School groups, (2) figure out how these clues will help them save the school, and (3) stay one step ahead of Lyman. That’s the mission…which seems, at times, impossible. The second book in this riveting and mysterious six-book series is as action-packed as the first one, culminating in a faceoff between Ben, Jill, and Lyman. “After five bells sound, time to sit down” makes for a good riddle, but Ben and Jill also knows when it’s time to stand up…for Oakes School and for themselves. The information, discussion questions, and activities that follow are intended to enhance your reading of Fear Itself. Please adapt these materials to suit your needs and interests. 1. Why is Ben a “local hero” at the beginning of the story? How does Ben feel about the attention he is getting for his heroic act? How does this experience impact his plan to “be invisible”? Why does Ben want to be invisible at the start of the story? 2. Who was Captain Duncan Oakes? What conclusions does Ben reach about Captain Oakes in the opening chapters of the story? What role do janitors play in the captain’s plan? How does this relate to the history of the school building? 3. What does Mrs. Sinclair accuse Ben of stealing? Though he did not steal it, why is this object important to Ben? Who does Ben discover is the real thief? Why does this realization frighten him? 4. Describe Ben and Jill’s friendship at the beginning of the story. In what way does Jill’s behavior confuse Ben? On what extra credit project are Ben and Jill working and how does this help them gain access to the school? 5. How does Ben’s research report on Jack London help him unravel the clue of the five bells? To what does this research lead Ben and Jill? What is the “first safeguard”? 6. Describe several instances where Mr. Lyman frightens Ben and Jill. What does Jill mean when she tells Ben there should be “no tiger teasing”? Do you think she is right or do you agree with Ben that he should “look the tiger in the eye”? Explain your answer. 7. Name some of the people Ben sees at Mr. Keane’s funeral. What is important about the conversations he has with Mrs. Keane and with old Tom? What does Ben promise to try to find for Tom? What gift does Mrs. Keane secretly give to Ben? 8. In Chapter 10, how does Jill take the law into her own hands and why? How does Ben participate? Do you think the kids’ behavior is correct? What feelings might lead them to take this kind of action? If you were a friend of Ben and Jill, what might you say to them about the events of the evening? 9. In several moments in the story, Ben fails to tell his mom his whereabouts in a timely manner. How does she react? How does this affect her relationship with Ben? Have you ever experienced a similar situation with your parent or guardian? Do you think Ben is being reasonable in these situations? If possible, include examples from your own experience when you explain why or why not. 10. Name at least three people whom Ben must decide whether or not to trust at some point in the story. What decisions does he make about these people? Do you agree with his decisions? 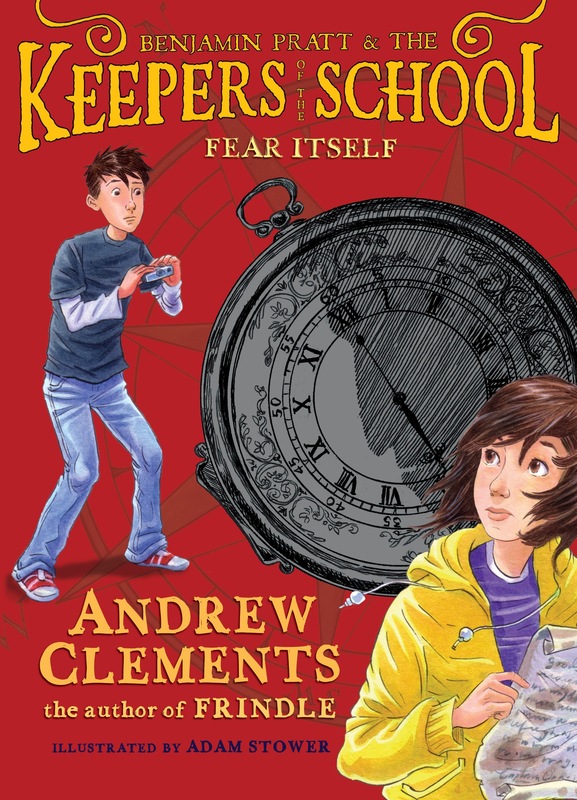 What advice might you give to Ben about trusting people with his Keeper of the School secret? 11. Discuss the term “a conflict of interest.” Name at least three characters in the novel who must deal with a conflict of interest. How does this affect their actions towards Ben? Have you ever been in a situation where doing the right thing might not have the best outcome for you? Describe this situation and how you dealt with it. 12. What does Ben find in the old toolbox? What do he and Tom decide to do with their discovery? Do you think their logic makes sense? Have you ever worked hard (or wanted to lend a hand) in support of a cause in which you believe? Describe your thoughts and, if possible, your experience. What advice might you give to Ben and Tom as they continue their mission to defend the school? A. Like the first book in the Benjamin Pratt & the Keepers of the School series, this story’s ties to history begin with its title: Fear Itself. In his 1933 inaugural address, President Franklin Delano Roosevelt told Americans that “the only thing we have to fear is fear itself.” Go to the library or online to find the complete text of this speech. Read it aloud with friends or classmates. B. Create an annotated, two-column time line comparing some important events that happened around 1933, the year of FDR’s inaugural address, to events in America in recent years. (Hints: What happened to the U.S. economy in 1929 and 2008? Who was appointed chancellor of Germany in 1933 and how did this affect Europe? What is happening in Iraq and Afghanistan in this decade? To what do the phrases “Dust Bowl” and “Hurricane Katrina” refer?) After creating your time line, write a paragraph explaining whether this exercise has affected the way you think about history. C. In Chapter 12, Ben is confronted by Mr. Lyman and “the fear paralyzed him.” (p. 120) Have you ever been so frightened that you had a physical reaction? Write a descriptive paragraph or poem, make a drawing or painting, or create another work of visual or literary art depicting your experience of fear. Along with your work, write a brief description of the fear situation that inspired it. D. How do you handle frightening situations? With friends or classmates, compile a top ten (or top twenty) list of ways to conquer your fears. Invite parents, teachers, and others to share their fear-busting tips too. Write your list on a large sheet of poster paper; add illustrations and other details. A. Go to the library or online to learn more about American author Jack London, whom Ben is researching for a project in Fear Itself. Read a short story or novel by Jack London. Write a short report including a summary of the story, information on when and why London wrote the story you chose to read, and whether or not you would recommend it to other readers. B. Historical fiction is fiction that incorporates historical figures or events into the narrative. With friends or classmates, discuss the ways in which Fear Itself might be read as a work of historical fiction. C. With friends or classmates (and perhaps the help of your school or local librarian), create a reading list of historical fiction titles, such as Adventure in Gold Town by Deborah Hopkinson; The Secret of the Sealed Room: A Mystery of Young Benjamin Franklin by Bailey MacDonald; That Book Woman by Heather Henson, illustrated by David Small; and The Houdini Box by Brian Selznick. Create a classroom display of historical fiction picture books and novels. Invite friends or classmates to give short presentations on favorite books from the list or display. D. Write a one-page fan letter to your favorite historical fiction or adventure novelist. 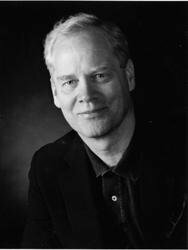 If possible, visit this writer’s Web site to learn more about your favorite book by this author and how they came to write it. E. Do you have a favorite historical period? Write an outline for a story set in your favorite time period. List the main characters, the setting, and the important historical events that will impact your story. Try writing the first chapter or two. A. Make a list of nautical terms and images from Fear Itself. Find definitions, reference books, quotations, or other information related to each term. Compile your findings in an illustrated booklet. If you have also read the first Keepers of the School title, add seafaring terms from that story to your booklet. B. Learn more about the “ship’s bells” system by taking cyber-visits to maritime museums. (Visit www.history.navy.mil/museums/index.html, www.maritimemuseums.net/MA.html, or nmm.ac.uk/ to begin your research.) Create an oral report, complete with a PowerPoint presentation, posters, or other visual aids, explaining the bells and other interesting elements of maritime timekeeping. C. In the toolbox, Ben finds many colonial era coins, including Pine Tree shillings. Go to the library or online to learn more about these coins. Are they rare? What are they worth today? What other coins might be found in a collection of seventeenth- and eighteenth-century New England coins? In the character of a famous coin collector whom Ben and old Tom have asked to comment on their treasure, write a letter to your two clients explaining the value of their coins and making a recommendation as to what they should do with them. D. Design your own book cover, bookmark, or poster for Fear Itself. Brainstorm a list of key images, characters, themes, or objects from the story to include in your design. Choose colors that fit the seaside setting of the story. Display your creations with those of friends or classmates in an artwork collection for Fear Itself. This guide was written by Stasia Ward Kehoe, who is a freelance writer and author specializing in the interests of young readers. She holds a master's degree in performance studies from New York University, and teaches writing and theatre to elementary school students in western Washington.